I posted my first review in a long time recently, which was for the recently released iPhone version of Blazing Star. I promised at the time that I would update the Neo Geo review too, as in all honesty my original review was very poor and such a fantastic game deserved a better writeup. Well, you can now read the new one!!! 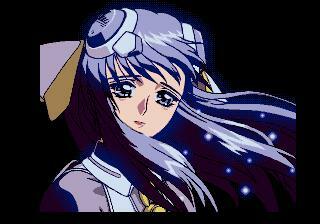 If you haven't played Blazing Star yet for some odd reason, what are you waiting for??? Read the review, and go play the game!!! I used a little bit of the text from the iPhone review as it was relevant and there was no point in trying to re-word it, however the rest of the review is all new. It's not a mega in-depth write-up, but it's certainly better than the old one. I'm going to try to update a few of the other games like this too as many of my older reviews are pretty poor in comparison to the newer ones... this is to be expected though, as you have to remember the site has been online for over 13 years!!! Over the years there are a few of my review scores that people have been displeased with in the past actually, as they don't like that I rated them down (Magician Lord is a good example). If people comment back on this news post and make suggestions, I may look at re-reviewing them first, after I've had some time to re-play and re-evaluate them. If you think you can change my mind on some of the lower rated games, I'm all ears!! !